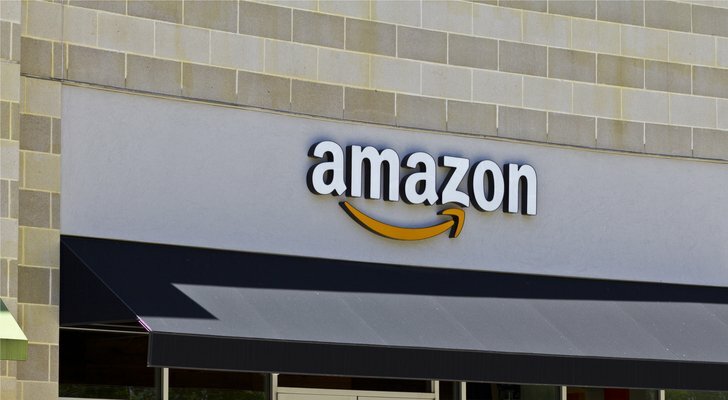 Amazon.com, Inc. (NASDAQ:AMZN) stock continues to climb, even clearing $1,000 briefly this week before pulling back. While bears continue to call AMZN stock overvalued, there’s a key reason the stock still has more upside: the seemingly endless number of markets the company has to target. Amazon no longer is just a retailer. Its Amazon Web Services cloud business on its own likely is worth at least $150 billion, according to various analyst estimates. And it continues to expand its capabilities far beyond its already-dominant online shopping platform. To be sure, Amazon’s expansion efforts haven’t always worked. The Fire Phone never got any traction. The Dash Button hasn’t made a ripple since being released over two years ago. Amazon acquired Quidsi for over half a billion dollars in 2011. It shut that company’s sites down in March, citing a failure to reach profitability. In the meantime, Quidsi founder Marc Lore created Jet.com, then sold that operation to Amazon rival Wal-Mart Stores Inc (NYSE:WMT) for $3.3 billion last year. But Amazon has had plenty of successes as well, and its reach is such that it casts a shadow across literally dozens of stocks. Here are 10 of those stocks facing a very real — and very dangerous — threat from Amazon. 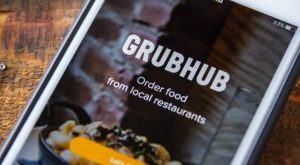 GrubHub Inc (NYSE:GRUB) stock has been rattled by Amazon on a number of occasions. GRUB shares took a couple of one-day hits back in September 2015, when Amazon first launched its restaurant initiative. GRUB declined another 8% in May 2016, when Amazon announced plans to enter into New York City and Dallas. But, overall, GrubHub has managed just fine — so far. GRUB stock has better than doubled since early 2016. A blowout Q1 report in April spiked the stock over 22%. 39%-plus revenue growth in the quarter suggests that the company is outcompeting Amazon Restaurants (whose growth figures have not been disclosed). GrubHub isn’t out of the woods just yet, however. It does have a first-mover advantage over Amazon — and a larger footprint. It has also added a skill to Amazon’s own Alexa to drive orders. But Amazon’s huge database of Prime customers presents a huge base of potential targets — and its ability to offer promotional credits and other inducements to build its business means it will be a formidable rival for some time to come. Adding to the potential pressure on GrubHub, Facebook Inc (NASDAQ:FB) reportedly is emphasizing food delivery capabilities on its platform. GrubHub clearly has a head start — but it will have to execute well to keep the two giants from catching up. Amazon is just one of the many competitors for Pandora Media Inc (NYSE:P). Apple Inc. (NASDAQ:AAPL), soon-to-be-public Spotify and even Sirius XM Holdings Inc. (NASDAQ:SIRI) are competing for the same consumer dollars. To some extent, Pandora has held its own. Revenue still is growing, and subscribers grew 20% year-over-year in Q1. But the company continues to be unprofitable, and sharply cash-flow-negative. That has led to a series of buyout rumors, including interest from Amazon and, most recently, Sirius XM. But the rumors have done little for P stock, which trades near a four-year low. And with Amazon able to team its Amazon Music Unlimited service with its Alexa home assistant — at a discount, no less — competition will be a major problem for Pandora, no matter who owns it. And without the cross-selling ability of Apple and, in particular, Amazon, Pandora seems to be at a permanent disadvantage. Amazon’s entertainment ambitions aren’t just limited to music, of course. Amazon Prime Instant Video is a key rival to Netflix, Inc. (NASDAQ:NFLX). As in music, Amazon isn’t in first place. And as in food delivery, Amazon’s presence hasn’t hit the leader’s stock price — yet. In fact, Netflix stock trades at an all-time high — and at enormous multiples. NFLX stock trades at 87x 2018 analyst earnings per share estimates, and over 7x its revenue. That doesn’t mean Amazon hasn’t impacted Netflix, however. It’s likely that the billions Netflix is spending on original content are driven at least in part by Amazon’s own investments in shows like Transparent and The Man in the High Castle. And the demand from Amazon for existing programming likely has raised rights fees for both Netflix and Hulu. There’s likely room for multiple winners in the space — but it remains far from guaranteed that Netflix will end up on top. Here too, Amazon will be a serious competitor, and one likely to impact Netflix even if it doesn’t decimate it. Barnes & Noble, Inc. (NYSE:BKS) was one of Amazon’s original targets, along with now-bankrupt Borders. And while Barnes & Noble at least still exists, it’s hard to see much else in the way of positives at this point. Barnes & Noble stock has tanked of late to below $7 and is threatening an all-time low. Comparable-store sales are expected to decline 7% in fiscal 2017 (ending April). And recently promoted Demos Parneros is the company’s fifth CEO in just four years. Adding insult to injury, Amazon is opening physical bookstores itself, including a flagship location in New York City, after decimating the industry through e-commerce. And while B&N spun off Barnes & Noble Education Inc (NYSE:BNED) to separate its more-stable college bookstore business, Amazon is entering that arena as well. BKS stock might have some value at this point as a “melting ice cube,” given near-zero debt and a 9% dividend yield. But it seems likely that B&N someday soon will join Borders in the long list of Amazon’s brick-and-mortar victims. As two of the giants in worldwide e-commerce, Amazon and eBay Inc (NASDAQ:EBAY) are clear rivals. But eBay may have more to worry than some bulls realize. The competition between the two is more direct than initial appearances would seem. From a branding perspective, one might expect that Amazon would sell mainly newer merchandise directly from manufacturers while eBay focused more on used products from resellers. But as the two business models converge, Amazon clearly is taking share from eBay on both fronts. Amazon doesn’t break out revenue or volume for its third-party Marketplace, but it cited records in 2016 and in the key holiday quarter. Meanwhile, eBay has seen revenue growth slow to a crawl. Marketplace GMV (gross merchandise volume) has been flat over the past two years. Margins are compressing, and eBay’s non-GAAP net income has declined in each of the last two years, despite contributions from fast-growing ticket reseller StubHub. It certainly seems like Amazon’s fulfillment capabilities are giving it an edge over eBay. Even without direct data from Amazon, it looks like eBay is losing share as well. So far, that hasn’t impacted eBay’s stock price much. But that very well could change if eBay proves unable to return to profit growth. Shares of W W Grainger Inc (NYSE:GWW) have fallen by one-third just since February. And, to be sure, the blame for that decline can’t be solely pinned on Amazon. A disappointing Q1 and continued weakness in U.S. industrials have driven much of the recent move. But the Amazon threat seems to underpin much of the change in sentiment toward GWW stock. Grainger’s business model was bulletproof: just-in-time delivery of a massive catalog of items, offered to what usually were price-insensitive customers. That model created steady revenue growth and impressive margins, allowing Grainger to raise its dividend for 45 consecutive years. But Amazon Business represents a threat to both revenue and, more importantly, margins. Amazon can leverage its existing supply chain to target the strong profit margins Grainger has driven over the years. And the reason why Q1 earnings took GWW stock down so far is that those margins are coming down, driven by a series of price cuts that no doubt were intended to stave off competition from Amazon. And with GWW stock still trading at over 15x the midpoint of 2017 EPS guidance, the declines may not be over. 15x might be cheap by Grainger’s historical standards, but in terms of Amazon’s rivals, even a mid-teen earnings multiple often seems quite expensive, at least in retrospect. Staples, Inc. (NASDAQ:SPLS) obviously has dealt with e-commerce pressure for some time in its legacy retail business. Like retailers of all stripes, it has seen sales and profits decline, and has shrunk its footprint as a result. But the next wave of pressure is coming on the company’s B2B sales, where Amazon Business is making inroads. While lower sales of paper and printer ink are no surprise in a digital age, many analysts thought Staples’ sales to large companies, in particular, would be protected. That’s turned out to be untrue, perhaps one reason why Staples reportedly is looking to sell itself. That would seem to be a wise move. With the merger with Office Depot Inc (NASDAQ:ODP) off the table, and Amazon now applying more pressure, Staples seems out of options. A sale — even with the stock bouncing off a 15-year low reached in October — would salvage some value for owners of SPLS stock. If Amazon continues to attack Staples’ B2B sales, profit pressure is only going to get worse. And the same would likely be true for SPLS stock. The extent to which Amazon is — or will be — a competitor to United Parcel Service, Inc. (NYSE:UPS) and FedEx Corporation (NYSE:FDX) still is up for debate. As Bloomberg reported last year, Amazon CEO Jeff Bezos has said publicly that Amazon isn’t trying to push FedEx out of business. And, so far, Amazon’s own growth, and its role in growing e-commerce more generally, has been a boon for both shipping companies. But it’s naive to think that Amazon’s growing supply chain prowess won’t pressure FedEx and UPS at some point — and likely some point soon. Amazon has leased at least 40 aircraft. It has a license to ship containers from China. Amazon Flex — an Uber-like program for delivery of packages instead of people — is growing into new markets and targeting the “last mile” networks built by both UPS and FedEx. Drone delivery — a clear goal of Amazon — would provide similar pressure. Amazon won’t just compete in the better-known package delivery business. Amazon repeatedly has discussed the possibility of opening its supply chain, and doing for logistics what it did for cloud computing. For FedEx, in particular, that raises a risk to the GENCO third-party logistics business acquired in early 2015. Like a surprising number of stocks on this list, both UPS and FDX stocks have performed reasonably well. (UPS stock has underperformed the past few years, however. It has actually declined since the beginning of 2015.) But forward-looking investors expecting years, if not decades, of steady growth from the two shipping giants would do well to keep the Amazon threat in mind. Photo printing portal Shutterfly, Inc. (NASDAQ:SFLY) will be an interesting test case for Amazon’s ability to enter new markets without major investment. In September, the launch of Amazon Prints sent SFLY stock tumbling 11%. But SFLY stock has rebounded, moving back toward the top of a multiyear range before a recent, modest pullback. That’s despite back-to-back earnings misses, after each of which SFLY has rebounded. Amazon doesn’t appear to have put a lot of investment behind the effort. Marketing has been minimal, and Amazon Prints appears to be a white-label version of privately held Snapfish’s offering. Given that Shutterfly has a market capitalization under $2 billion — roughly one three-hundredth of that of AMZN — the opportunity may not be big enough to fully grab Amazon’s attention. But its cut-rate pricing could impact Shutterfly margins, and the ease of marketing to Prime customers could take incremental business. Given that SFLY trades at 33x 2018 analyst EPS estimates, it doesn’t take much in the way of revenue or margin erosion to imply a substantial decline in SFLY stock. 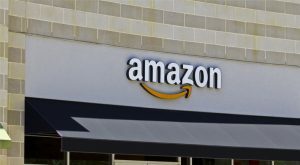 Article printed from InvestorPlace Media, https://investorplace.com/2017/06/companies-amazon-com-inc-amzn-stock-crosshairs/.